When you are planning a bathroom remodel, there are three elements that can enhance your ability to relax at the end of the day in comfort and warmth, no matter what is happening outside. Consider the benefits of a soaking tub, a dry heat sauna, and heated floors. While we remove many unused tubs from homes to open space, there's nothing better than installing a soaker tub if you are enlarging your space and creating a master suite. Showers are great for the basics, and certainly an oversized shower, with transparent, glass shower walls and natural stone floor and wall tiles, can be a beautiful bathroom addition. But there is nothing like the relaxation you can enjoy while lying back inside a large soaking tub. Throw in some aromatic bath salts, scented oils, or soothing bubbles, and you can create a bliss that can't be topped - without having to leave the comfort of your home. Many people initially consider heated floors to be a luxury, but if you have ever stepped out of a warm shower or tub, relaxed and content, and then stepped onto a cold bathroom floor, you understand why radiant heating is almost a necessity and one of the most popular options in our bathroom remodeling projects. Heated floors enable you to prolong the relaxation of the shower or bath, and they are wonderful for those middle-of-the-night and early-morning trips to the bathroom! There is a luxury in walking barefoot on a heated floor that simply can't be duplicated in a house in any other way. Imagine getting out of the shower or the soaking tub and enveloping yourself in a a blanket of warmth. 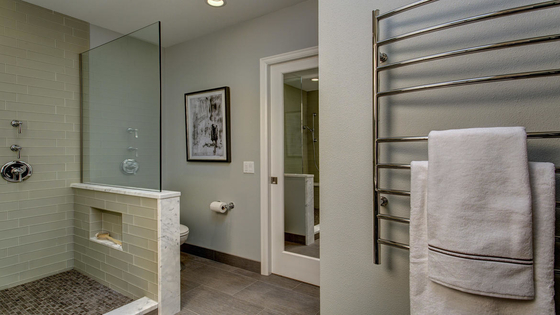 Adding a heated towel bar to your master bath is not only a treat after bathing, but in the Pacific Northwest, towels just don't dry very quickly in many homes. If you are considering a bathroom remodel, there are many options that can add a touch of luxury, but your best initial investment is one that nearly always enhances your ability to relax and indulge yourself. 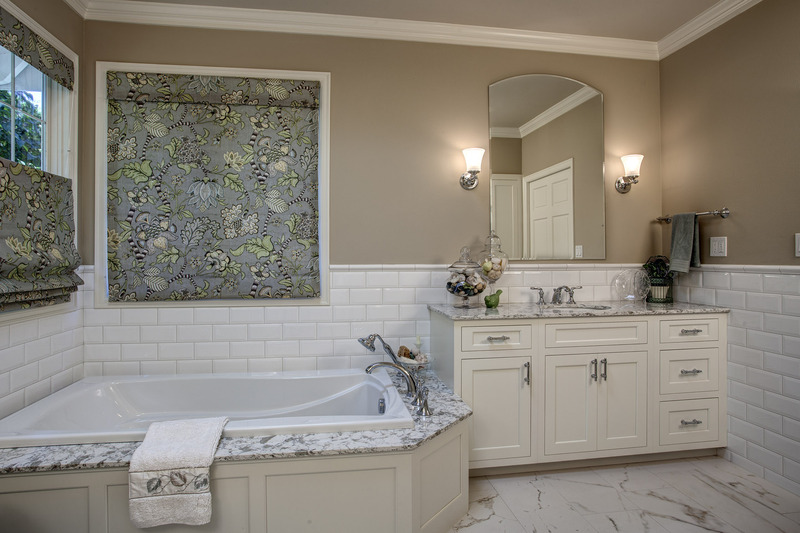 We can help you plan your master bathroom to include all the details that will make you smile. Dream big! When you are planning a bathroom remodel, there are three elements that can enhance your ability to relax at the end of the day in comfort and warmth, no matter what is happening outside. 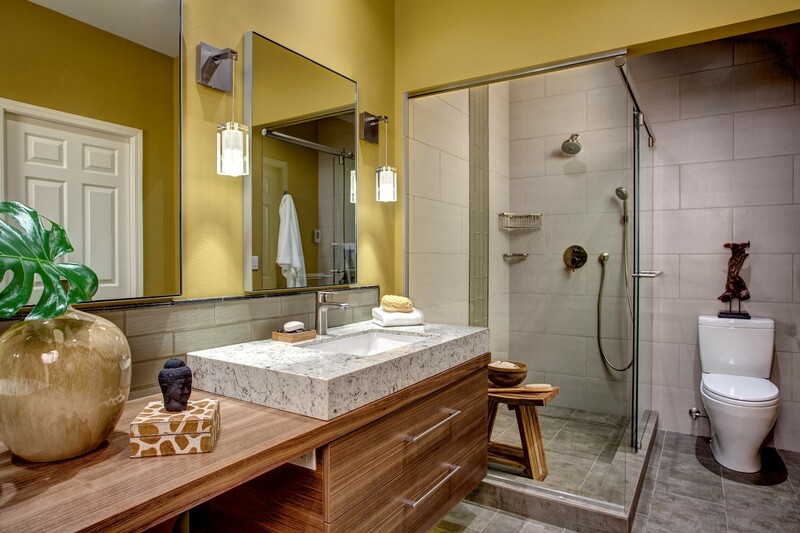 Consider the benefits of a soaking tub, heated floors and a heated towel bar.